PROVIDENCE, RI — Lt. Governor Daniel McKee today unveiled an update to Rhode Island’s State Plan on Alzheimer’s Disease and Related Disorders featuring a new, bold set of recommendations for improving supports and services for Rhode Islanders affected by Alzheimer’s and other dementias. The Lt. 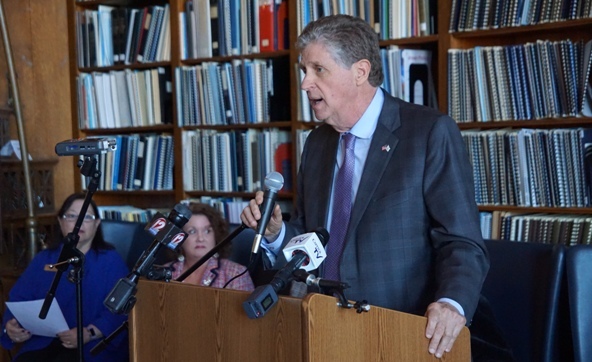 Governor was joined by Representative Mia Ackerman (D-Cumberland, Lincoln) and Senator Cynthia Coyne (D-Barrington, Bristol, East Providence) who announced resolutions to endorse the Plan update as Rhode Island’s blueprint for addressing the growing Alzheimer’s crisis. Lt. 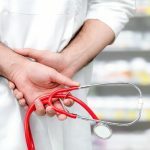 Governor McKee, who serves as Chair of Rhode Island’s Long Term Care Coordinating Council, embarked on the effort to update Rhode Island’s 2013 State Plan last February by securing $30,000 in grants from the Tufts Health Plan Foundation and the Rhode Island Foundation. The grants allowed the Lt. Governor’s Office and the Alzheimer’s Association Rhode Island Chapter to enlist the services of Splaine Consulting, a nationally-recognized health policy research firm. Under Lt. Governor McKee’s leadership, Splaine Consulting, the Alzheimer’s Association Rhode Island Chapter and members of the Lt. Governor’s Alzheimer’s Executive Board launched a community-focused strategy to update the State Plan. Together, the group held 23 town hall meetings, conducted 45 expert interviews and surveyed over 200 Rhode Islanders impacted by the disease. 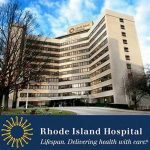 Allocate one director-level position within the Rhode Island Department of Health to coordinate the implementation of actions in the Alzheimer’s State Plan in and through the activities of public health, in close collaboration with the Lt. Governor’s Office, the Division of Elderly Affairs and other agencies. 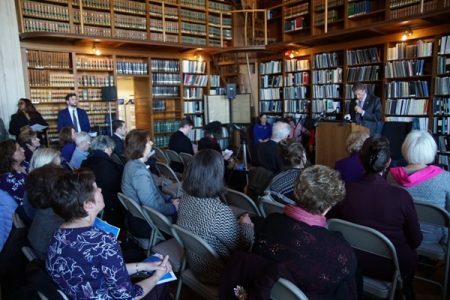 Promote Alzheimer’s disease and related dementia research opportunities of all types, including federal funding opportunities, to a broad group of Rhode Island researchers. Include brain health in existing publicly-funded health promotion and chronic disease management activities. “Now more than ever, it is important that our state supports a comprehensive plan that will help us better address Alzheimer’s disease in Rhode Island. I look forward to working with members of the House to begin the collaboration necessary to move us forward in fighting Alzheimer’s and other dementias,” said Representative Mia Ackerman. 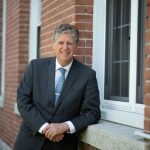 “Alzheimer’s impacts tens of thousands of Rhode Islanders, and we need a coordinated strategy to improve education among the public and training for providers, and to promote research opportunities. This plan provides a framework to bring positive policy change where it is needed. I look forward to a thorough review of this plan in the Senate,” said Senator Cynthia Coyne. “We are proud of the work that this team of professionals and state officials have accomplished in putting this plan together, and its implementation will help provide an infrastructure for services and resources for those effected by this disease that is sorely needed. By 2050, along this trajectory, Alzheimer’s will be the leading cause of death in this country, and it is the only leading cause of death that cannot be prevented, cured or slowed. It is a public health crisis here in Rhode Island and the United States,” said Donna McGowan, Executive Director, Alzheimer’s Association Rhode Island Chapter. 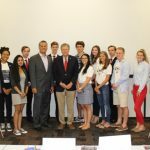 The State Plan is the result of a collaboration between the Lt. Governor’s Office, the Alzheimer’s Association Rhode Island Chapter and the Division of Elderly Affairs. In 2012, the General Assembly directed the Lt. Governor’s Long-Term Care Coordinating Council to serve as the organizational umbrella for a work group that oversaw the State Plan’s development. In 2013, the original State Plan was published noting the need for an update in five years. The updated State Plan can be viewed at www.ltgov.ri.gov/alz.